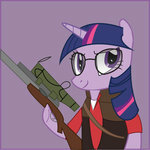 The PNP LFG thread "looking for game"
character list: Bunch of them actually, but as of here, an Earth pony female, specialized in energy weapons and sneak, and male zebra specialized in crafting and close weapons. Also willing to make new. FPS Group looking for 1 more player, accepting applications. PNP Experience: Group 9, Destiny Group, Group Unlucky 13, Group 57, Flashpoint, Group 80, Group 200, MAw Group. Game Notes: 220 years after bombs/20 years after Littlepip. It is set in Baltimare. Players 3/4. Welcome to Baltimare. It's been 220 years since the bombs fell, 20 years since SnR, and 10 years since Gardens of Equestria was fired off. The world has been rebuilding, farms have been popping up, raiders have been on the decline, and there's once city that's been the center of it all, Baltimare. The once thriving metropolis of trade before the war has been building itself back up to its former glory, but not without help. Five gangs rule the streets of the city. In the south you have The Crimson Leaves, lead by Crimson Leaf. They control the docks and the shipping of Baltimare, and are arguably the worst of the five. Directly north of them, controlling the downtown area of Baltimare and having control of its banks and businesses is the Smooth Trotter Co, lead by Jenny Smooth. In the northern part of the city you have a gang of griffons called the Flyboys that are lead by Swindle Talon. they control the industrial sector of the city. Controlling the eastern portion of the city, where most of the markets and trade are located, is the Ruskin Mob lead by Vadim Valenhoof. Lastly, in the western part of the city, are the Specters. No one quite knows who leads them, or what they do, as the western portion of the city is still mostly abandoned or is only residences. 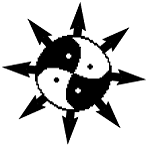 Preferred Rule-set: Most experience with Kkat's rule system, but have plenty of experience with other systems. Currently sitting with eight years of tabletop roleplaying game experience, and two years of FoE pen and paper experience. Character list: Many, many characters available. Preferred Game Times: Variable, but Fridays and Saturdays are the best options, specifically after 7PM (EST) on Fridays, and any time on Saturdays. *Note: Please contact me here through private messages. Preferred Rule-set: While I don't think it'd be a big deal if other systems are used, I do like that ruleset that very closely resembles default Fallout. Other systems are okay to be used, though. Timezone: UTC -6 ; known as Central Standard/Daylight Time in my part of the world. character list: Well, I can name two off the top of my head, but I can make more characters or make small tweaks if needed to fit a given campaign. * A changeling who, after uncovering a large stash of music, decides to be a travelling companion and musician. Hijinks and song to ensue. * A griffin who, when not using them, manufactures conventional guns and on occasion gets to tinker with Matrix tech by way of power armor, energy weapons, and robots. Hijinks and shooting to ensue. Best Pony: I'm relatively new to MLP, but I do like this one -> , Applejack. From what I have seen, I like her accent (it feels local for me) and I like her hat. Also she seems like the most stable and reliable of the bunch. yo is this thread dead? I actually do think the PNP game is cool and I want to try it, especially since I haven't yet. The forums haven't seen much traffic lately, but people do check every now and again. 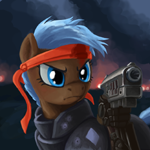 You might consider trying the Fallout Equestria IRC channels to ask around there also. As always though, the most surefire way of getting a game is to run one yourself. Preferred Rule-set: No preference, can work around any and all rule-sets. Preferred Game Times: Friday, Saturday and Sunday are my free days, though I can fit the weekday afternoons and evenings as well.